IBF lightweight world champion Richard Commey’s unification bout with WBO and WBA lightweight title holder Vasyl Lomachenko has been called off. Commey suffered a fractured knuckle in the first round of his title clinching bout against Russian Isa Chaniev last Sunday and has been ruled out for 6 weeks. 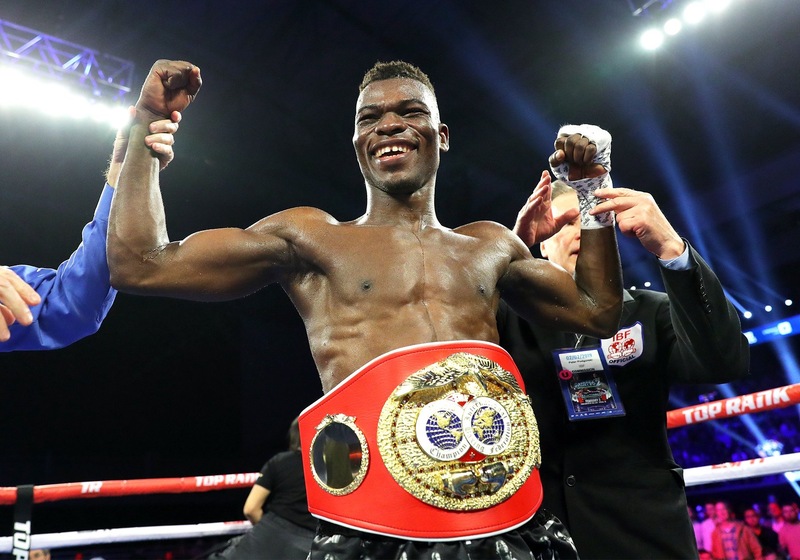 Commey was set to face Lomachenko on April 12, 2019 in a winner takes all contest, but after checks on his injury, that fight will not go ahead as planned. The 31-year old Ghanaian is reportedly set for another doctor’s appointment next week for further treatment. Commey became Ghana’s latest world champion, after a 2nd round TKO victory over Russian Isa Chaniev last Sunday.